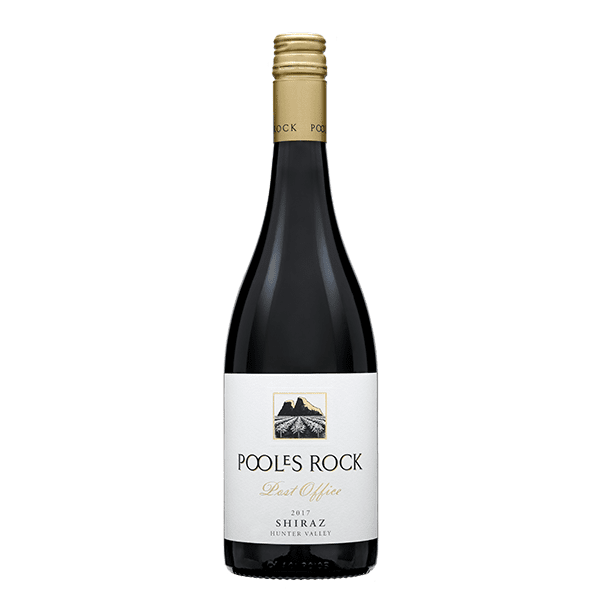 The Post Office Vineyard is located on the red, weathered marlstone soils in the foothills Pokolbin sub-region of the Hunter Valley with Shiraz vines ranging in age from 30 to over 100 years old. This wine is deep purple in colour, and displays red cherry and cranberry aromas with hints of spice. The palate has juicy red fruits along with toast and cedar from the oak resulting in a long, complex finish. The 2017 vintage will be regarded as a great Hunter Valley vintage, with ideal warm growing conditions leading up to vintage. After some spring and early summer rains, the vines were healthy and had plenty of foliage. Very dry and hot summer conditions with temperatures over 40 degrees meant the tannin and flavour profile of the fruit was allowed to fully mature. This wine is deep purple in colour. This wine displays red cherry and cranberry aromas with hints of spice. The palate has juicy red fruits along with toast and cedar from the oak resulting in a long, complex finish.